What is Fleet Insurance & What are the Different Types of Fleet Insurance? Why choose fleet insurance with Fleet Compare? If you operate a fleet of three or more vehicles, you will know that it is a legal requirement that they are all fully and appropriately insured. This can cause a bit of a headache, especially at renewal times, and even more so when there are multiple vehicles in your fleet and you employ a number of drivers. To help make insuring your fleet as painless as possible, Fleet Compare specialise in using their incredible industry knowledge and insight to help source the most appropriate fleet insurance cover for clients in the UK. With more than 20 years of experience in this field, Fleet Compare are skilled in understanding your business’s needs and sourcing fleet insurance policies to ensure you’re properly protected. Opting for business fleet insurance over single policies has the added benefit of solidifying your fleet insurance services into one policy. This can save you time and money, allowing you to focus on the bigger picture for your business whilst giving you the peace of mind that all your vehicles are fully insured and legally compliant. What are the fleet insurance types? There are a number of different kinds of fleet insurance on the market, and this can present an obstacle for those looking for specialist cover. Each different insurance type presents unique considerations, as does your specific business and industry; this is why Fleet Compare place a high emphasis on the importance of getting to know how your business operates. This puts us in a fantastic position to negotiate the terms and cost of your policy with our trusted brokers, helping match you to the most appropriate policy at a fair price. 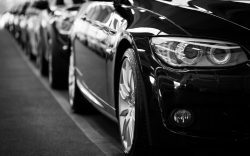 If you find yourself wondering which fleet insurance policy type is right for you and your business, read on. Taxis for public and private hire and airport transfers are considered high risk due to the amount of time each vehicle will spend on the road. Another consideration to be made when it comes to taxi fleet insurance is the fact that the vehicles are likely to be of mixed makes, ages, and monetary values. As such, you will be looking for an insurance policy which is flexible enough to take these factors into consideration, and still provide the level of cover that you require. Get in touch with us today if you’d like to discuss your requirements for taxi fleet insurance. Simply put, using telematics are tracking devices which provide detailed information about how your fleet is used, and can provide insight in to the health of the vehicle itself by, for example, helping you plan services, MOTs and tyre replacements. It is a common addition for light goods fleets, as well as contractors, and many other commercial fleets. Being prepared to fit telematics devices in your fleet can potentially lower your insurance premiums significantly – if this is something you feel your fleet can benefit from, please do get in touch for more information. Importantly, not every vehicle in your fleet needs to fall under this classification in order to be included in your light goods fleet insurance policy, as long as the majority do. Insuring all your light goods vehicles under one policy allows you to enjoy a single renewal date, which is a huge benefit when insuring multiple vehicles. If you would like to discuss your requirements, or find out whether your business qualifies for light goods fleet insurance, please contact us today. Your business will likely have unique considerations which may affect the insurance policy that is most suitable for your fleet; for example, company cars used for commuting will require a different insurance policy to private ambulances. Business fleet insurance is designed to be as flexible as possible to meet your needs, whether you are looking for a mix-and-match policies, need drivers on an ad hoc basis, or simply need to enable any driver to drive any vehicle in your fleet. Our industry insight will help build a policy that covers each vehicle and driver appropriately, so give us a call to discuss your needs. Minibus fleets must contain at least three vehicles, and are commonly operated by schools, nursing homes and airport transfer providers across the country. To be considered for minibus fleet cover, each minibus must have between 8-17 seats, and you must have a PCV license if your operations are for-profit. As long as these conditions are met, your insurance policy can be created on a bespoke basis to include other vehicles such as coaches and buses. Contact us for more information and to discuss your minibus fleet insurance requirements with an expert. If your business operations involve using a vehicle fleet to move quantities of hazardous materials such as chemicals, toxic waste, biological waste, explosives, and radioactive materials, you will know that the considerations that go into insuring your vehicles is enormous, keeping to current legal guidelines and having the right insurance at the right level of cover is imperative. Hazardous goods vehicles can commonly take the form of LGVs, flatbeds and tankers, but any vehicle being used to transport hazardous materials will need appropriate cover. Hazardous goods fleets are considered high risk, and insurance premiums will reflect this; to help you find the most appropriate cover at a fair price, don’t hesitate to contact the experts at Fleet Compare. Those in the logistics and transport industries may find they benefit hugely from a specially designed fleet insurance policy; these can be written to cover a huge range of haulage and courier vehicles at a choice of coverage levels possible in the same policy. For example, you may want to cover new vehicles comprehensively, but choose only third party cover for older vehicles which can help keep the total cost of the policy down. Contact us online or by telephone and will discuss your requirements and create a policy that is centred on the unique aspects of your business. For a quote, contact us either by calling our offices on 01782 200 714 or emailing [email protected], or fill in our fleet insurance online quote form and we’ll get back to you. For more on our services, you may find it useful to read through our frequently asked questions.